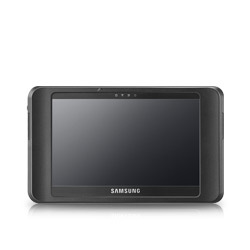 The Samsung Q1EX-71G UMPC is now on the Samsung website. CDW has it listed for $729.99 (the part # is NP-Q1EX-FA01US). Let's see what the reviews look like. When UMPCs first came out, I thought they would be great in the healthcare sector. Uptake has been slow with the UMPC, but the Motion C5 Mobile Clinical Assistant (MCA) tablet seems to have gained significant momentum in hospitals.